examines the policy responses of key states and international institutions in Germany, Canada, the United States, the European Union, Japan, and Korea. This book argues that any effort to combat these crimes requires a response that addresses the welfare of human beings alongside the standard criminal law response. It represents a timely analysis of the increasingly serious problems of transnational crime, human trafficking and security. Shiro Okubo is a Professor of Law and the Dean of the Institute of International Studies and Area Studies at Ritsumeikan University, Japan. He is the author of The Individual and Associations as Human Rights Actors in Post-War Japan and co-editor of Crime and Human Right in the Borderless Society. Louise Shelley is Professor in the School of Public Policy at George Mason University, USA; she is the founder and Director of the Terrorism, Transnational Crime and Corruption Center (TraCCC). 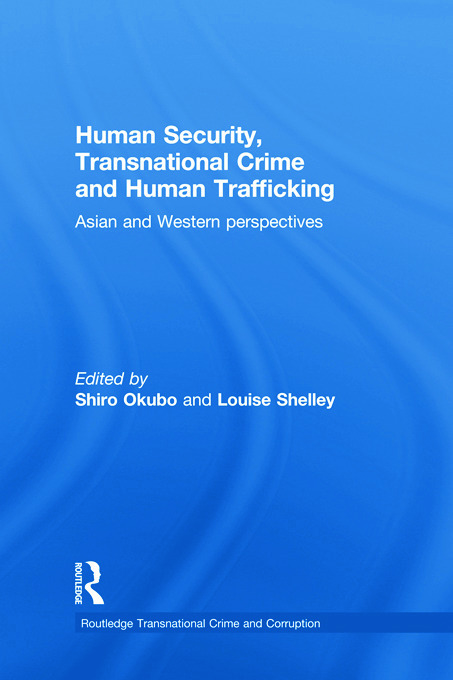 She recently co-edited Human Traffic and Transnational Crime: Eurasian and American Perspectives.